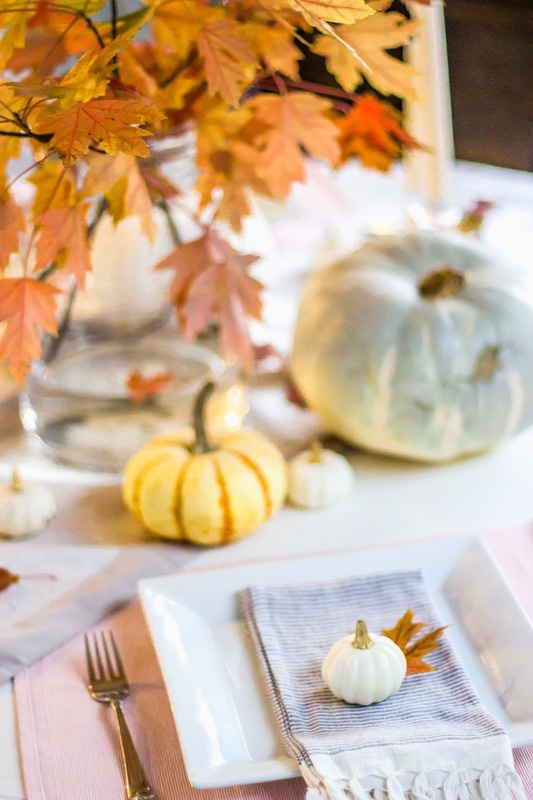 To kick off Friendsgiving and Thanksgiving celebrations, I wanted to share an easy idea to decorate your table! 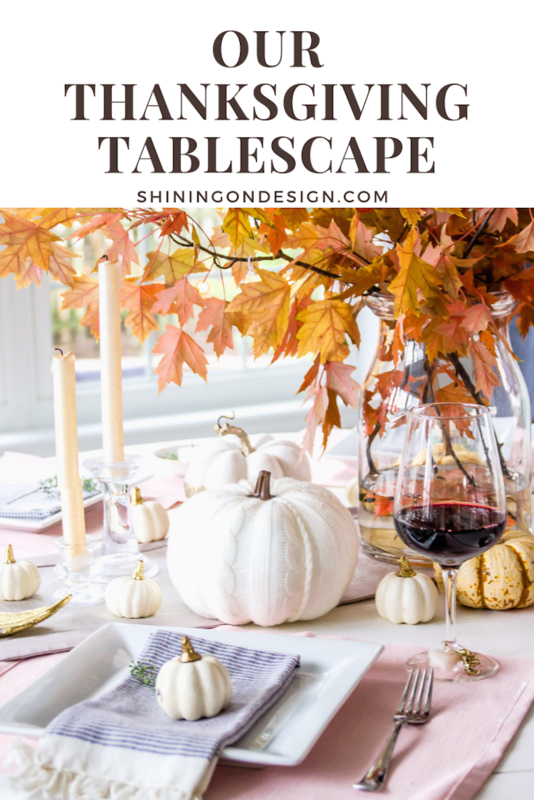 I had so much wonderful feedback on our fall tablescape inspiration post so I decided to recreate a Thanksgiving tablescape using the same method. 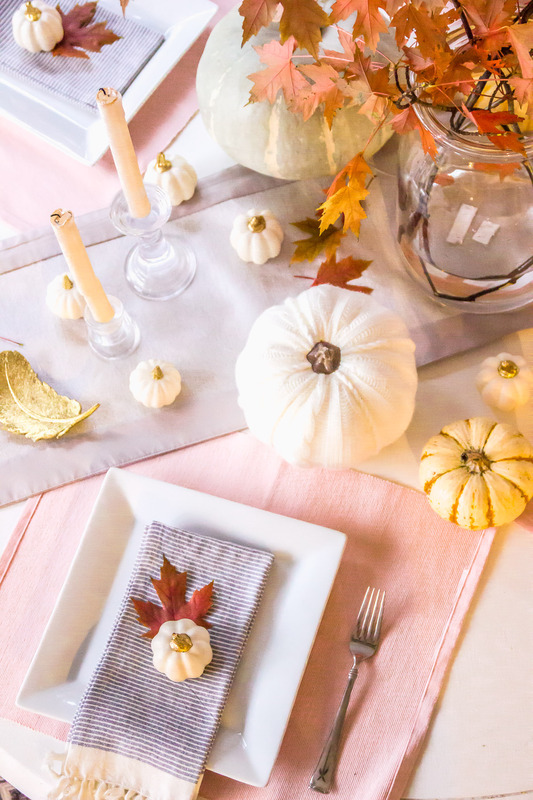 I only changed one thing but this one thing changed the entire look of the table. I created this mainly with items we use year round. And you can too! The holidays have changes a lot for us these past few years. Growing up, we would have huge family gatherings. All our aunts, uncles, cousins, sometimes friends would all get together. It was always a great way to kick off the holidays. With many moves and families growing, our holiday celebrations are a bit smaller. 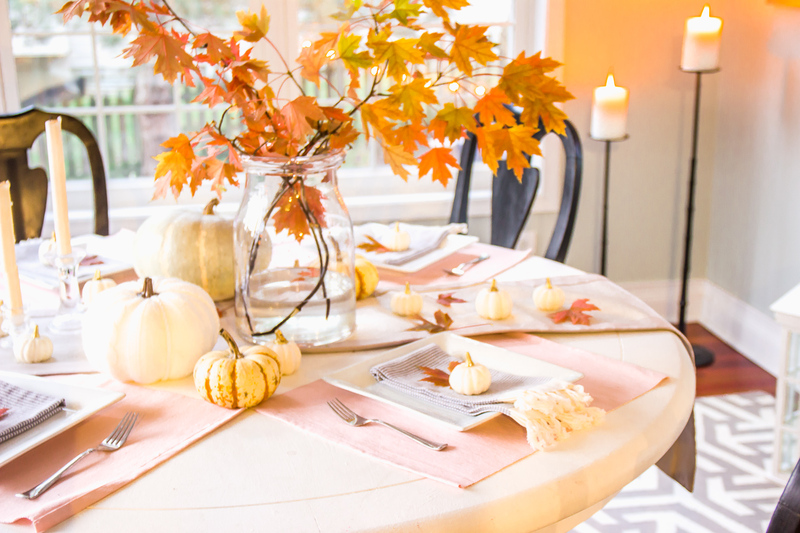 The thing I like about this tablescape is that it works for just about any size gathering and any size table. Big or small. The main idea is to keep it simple! 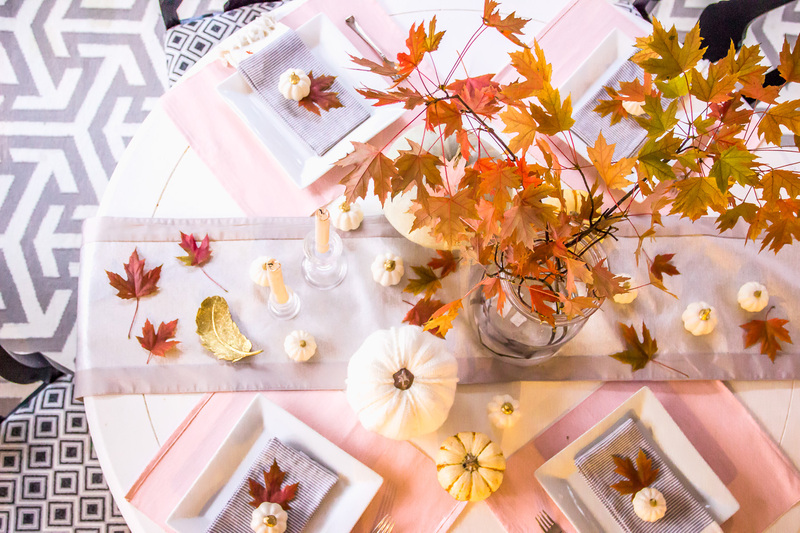 This tablescape only took about 15 minutes to put together. We have this beautiful tree in our backyard that I could not wait to cut branches off of to bring inside. I just love how colorful they are. We tried to cut branches last week but the color hadn’t changed as much. Our centerpiece looked awful haha. But I’m glad we waited and tried it again. To recreate the same look (since timing these fall colors isn’t always an option! ), you can go with some faux stems too. 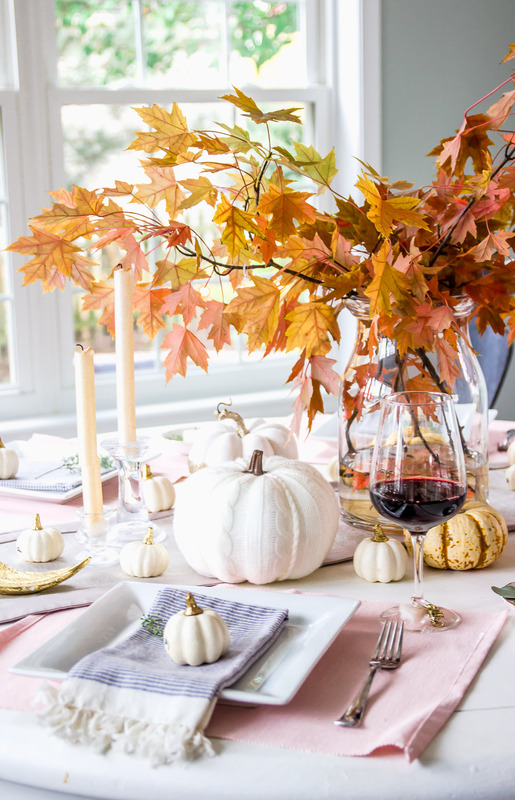 Since white pumpkins add a festive touch, we use them throughout November as decor. The pastel and mini tiger pumpkins stick around too. Please note these may include affiliate links which means I get a small percentage for every sale – at no extra cost to you. I’m grateful for you supporting Shining on Design! 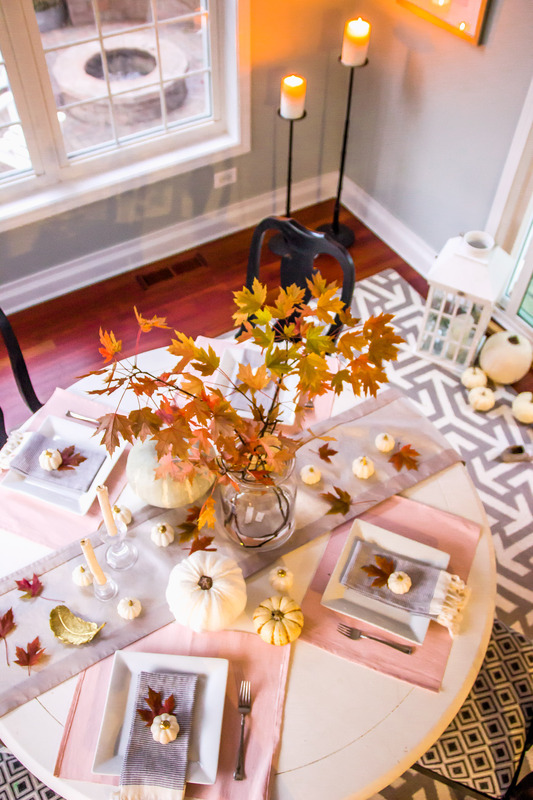 If you’d like the steps I took to create the entire tablescape, check out this post. If you do try this with real stems, note that they only lasted for about a day in water. Maybe you’ll have better luck but by the next evening, they did not look this good. 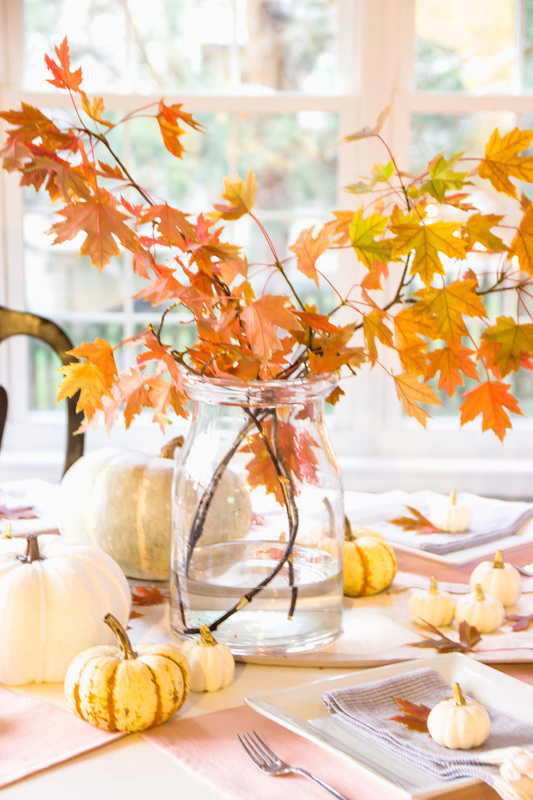 If you are using real branches, you’ll want to cut them within a few hours before your guests arrive.